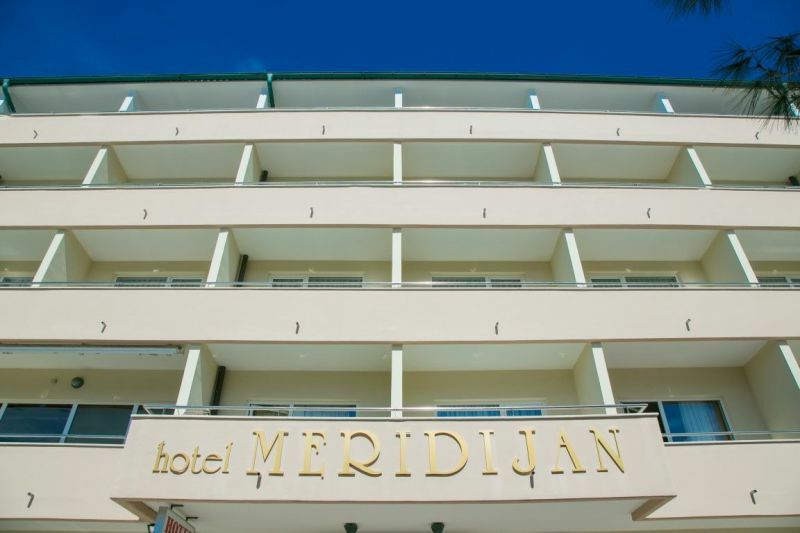 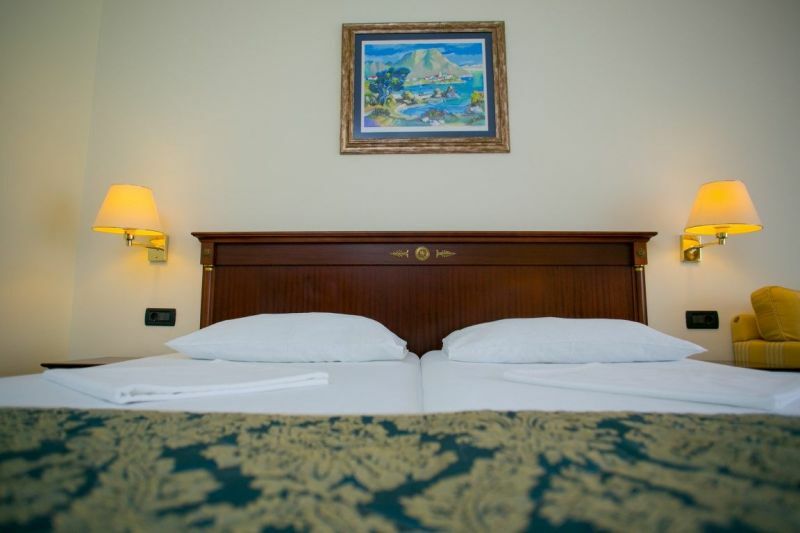 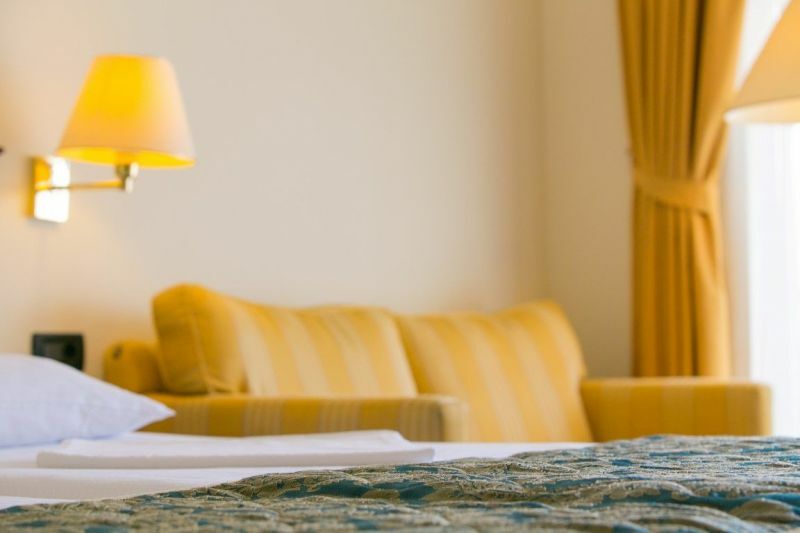 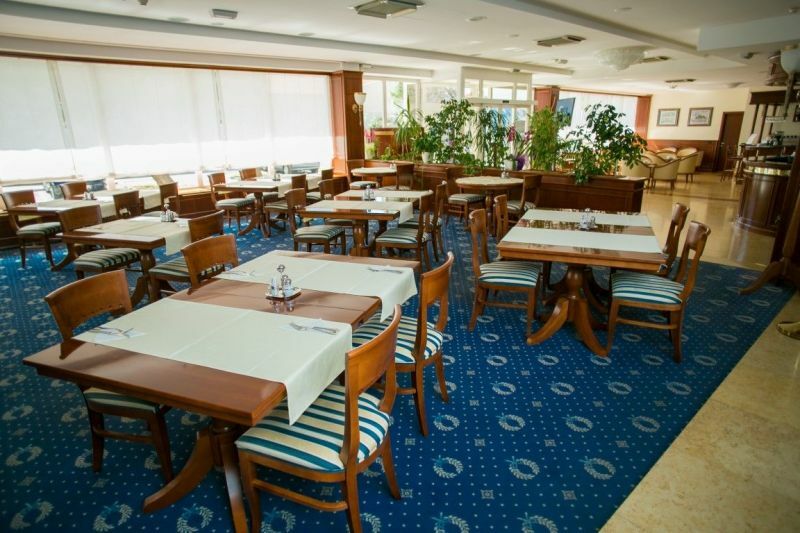 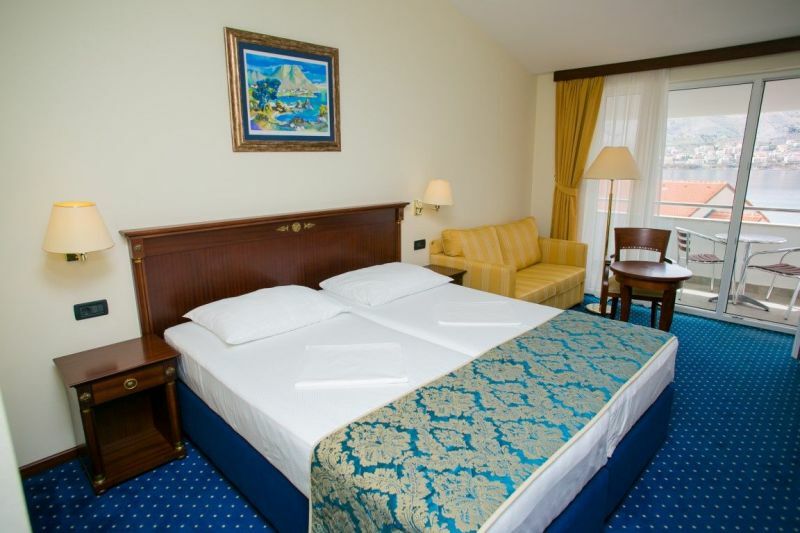 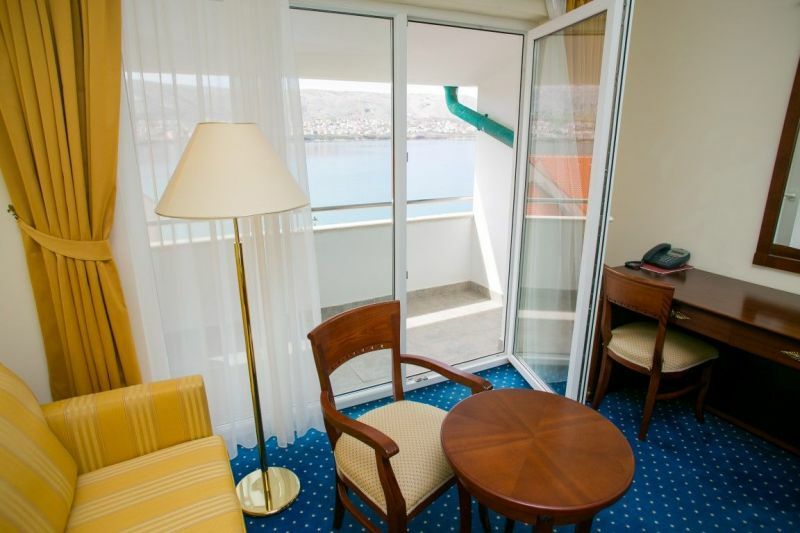 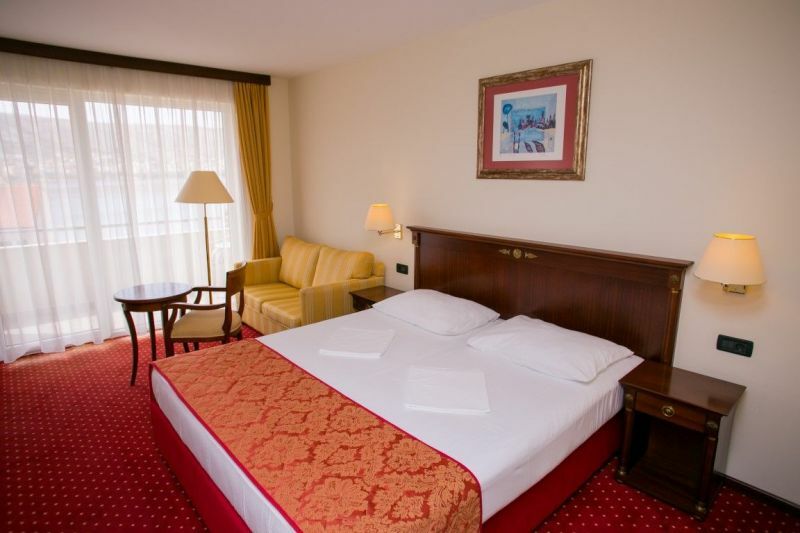 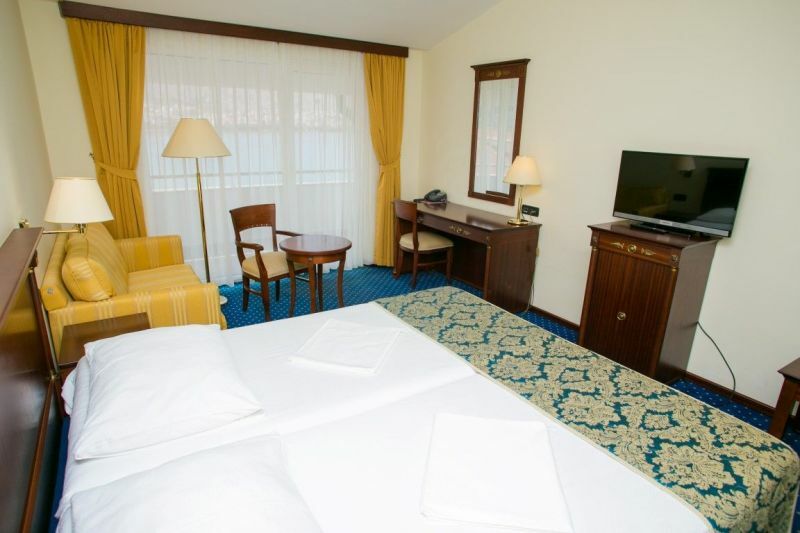 MERIDIJAN Hotel with its 45 comfortable, air-conditioned, double rooms, outdoor pool and a beautiful beach front hotel, ideal for family holidays, in summer and in winter.It combines warm welcome and efficient service. 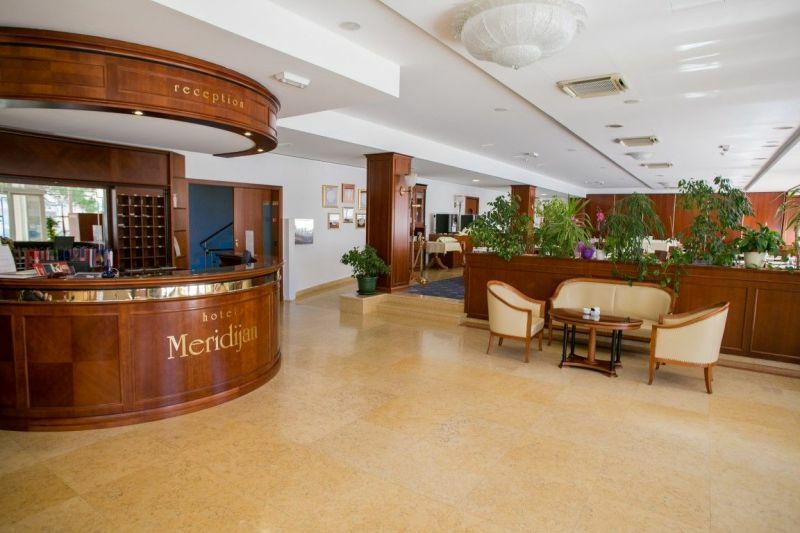 MERIDIJAN Hotel is situated in a quiet part of town of Pag, and just a few minutes from the historic center of town .Restaurants in the city offer a wide assortment of foods, including the famous cheese and lamb from the island, which will only enhance your enjoyment of this magnificent island, well known for its interesting lunar landscape.You will complete your experience with visiting the old town, where you'll find a unique souvenir - a hand-sewn lace from Pag, which is one of the symbols of the town. 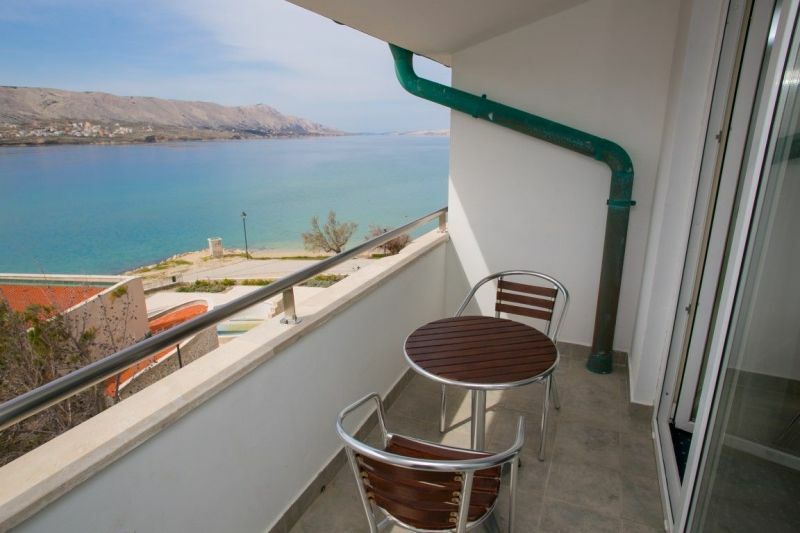 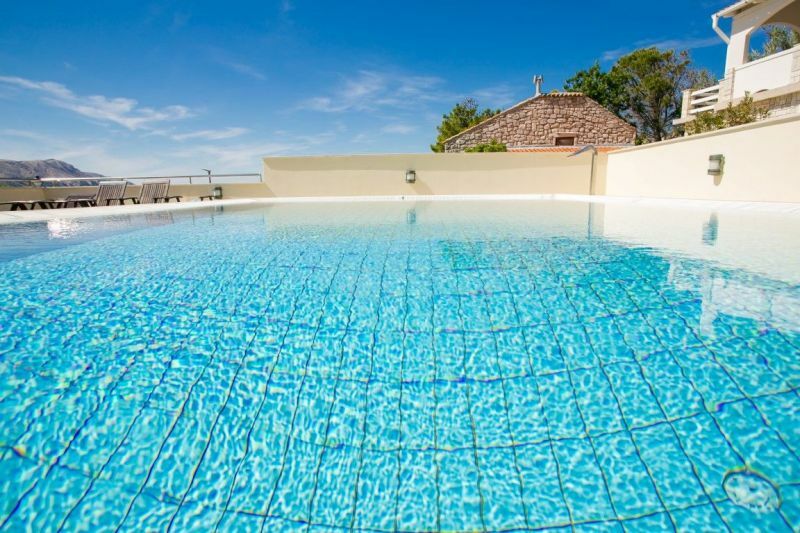 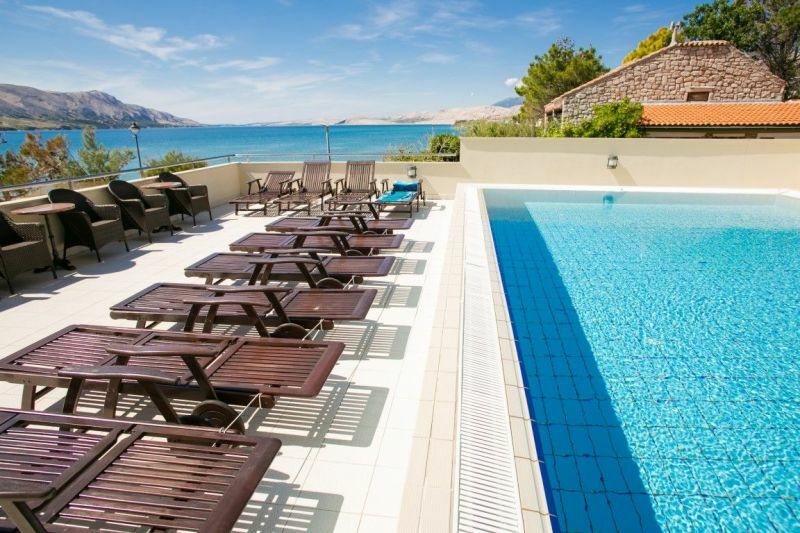 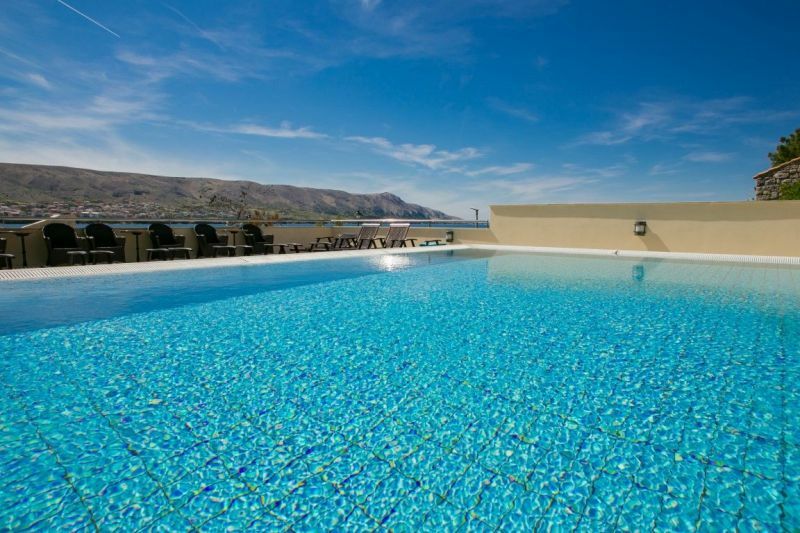 Situated near the old town of Pag, and only a few meters from a beautiful beach. 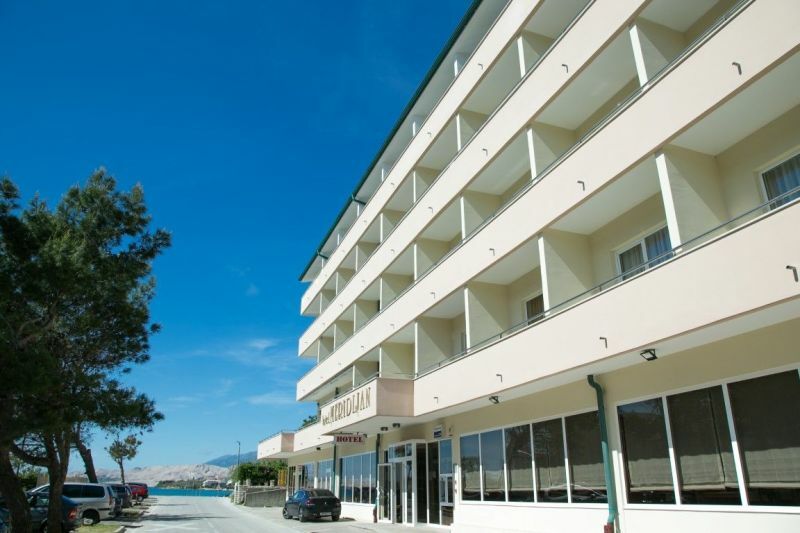 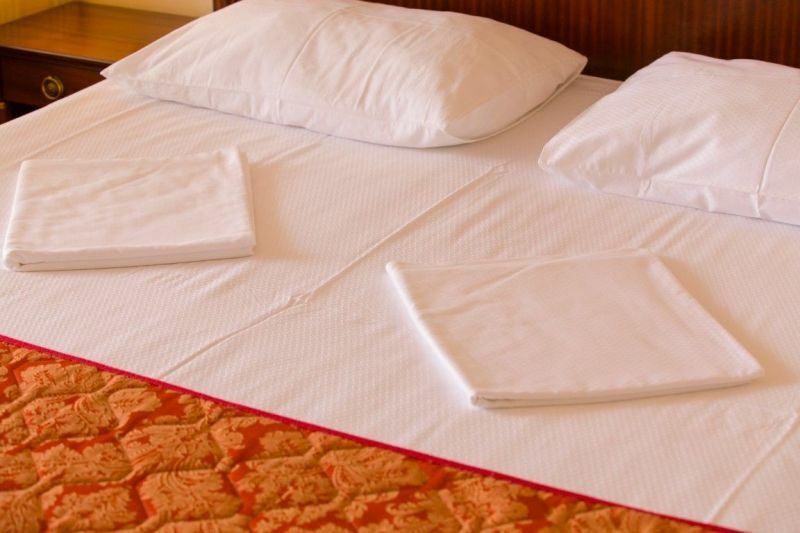 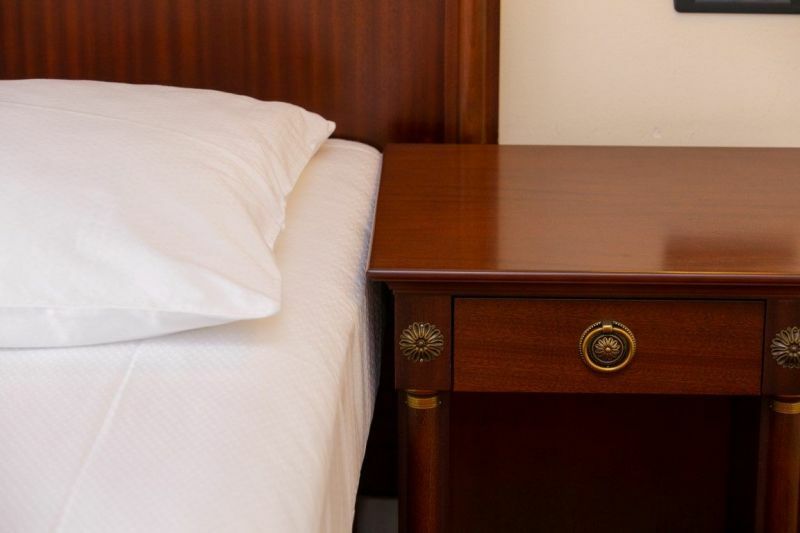 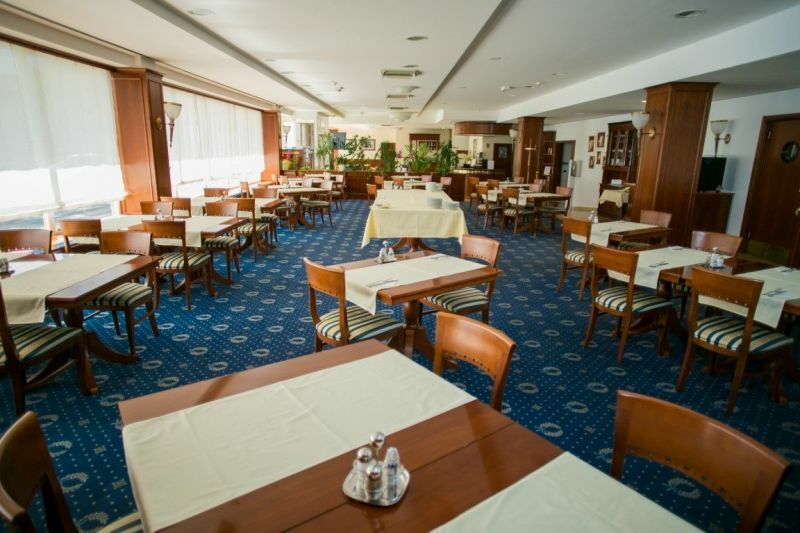 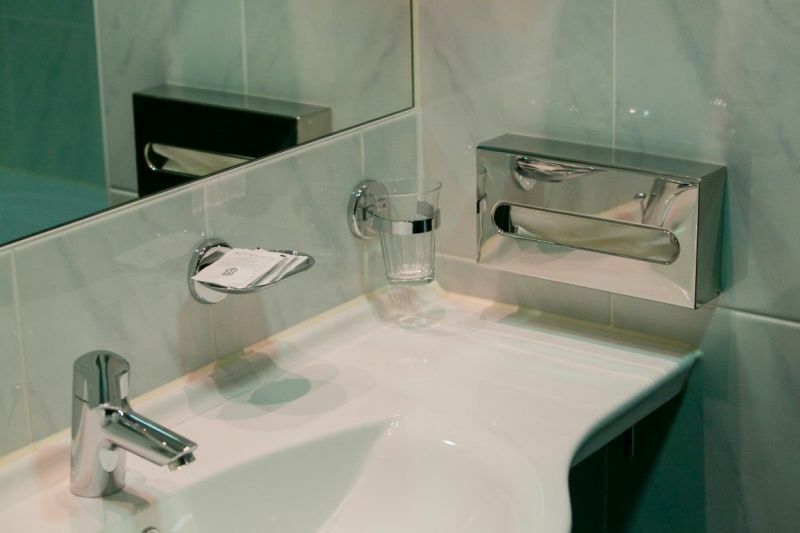 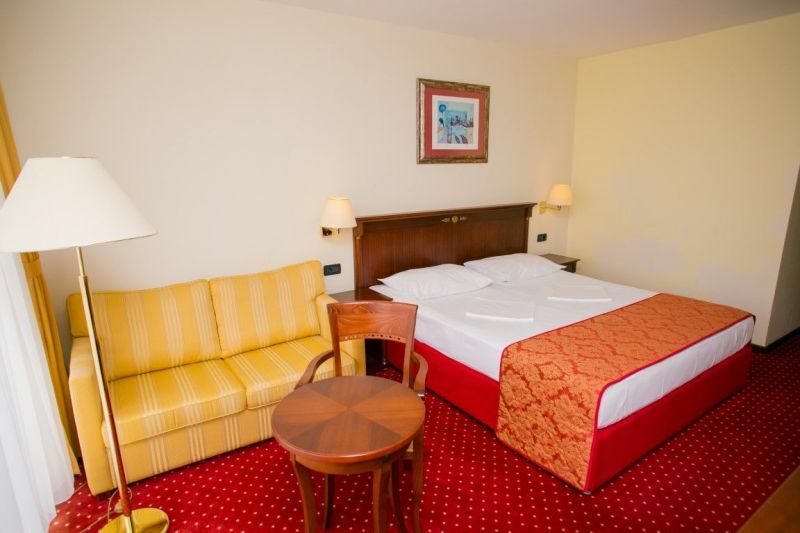 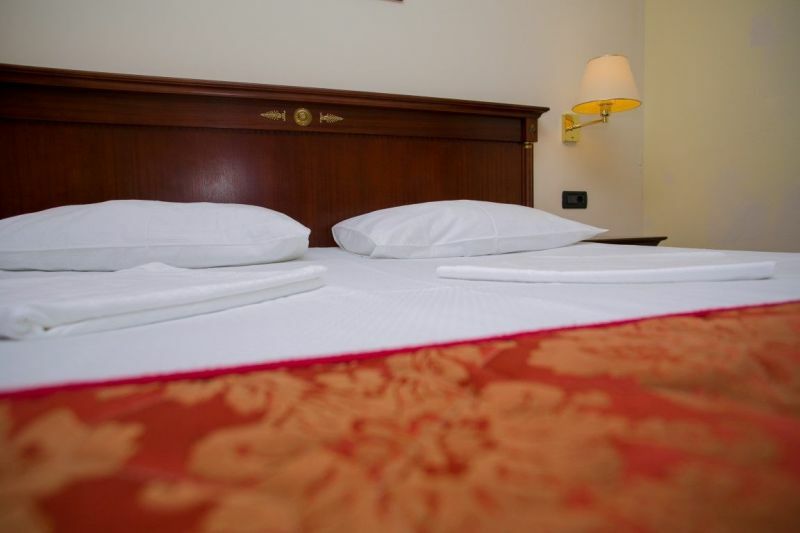 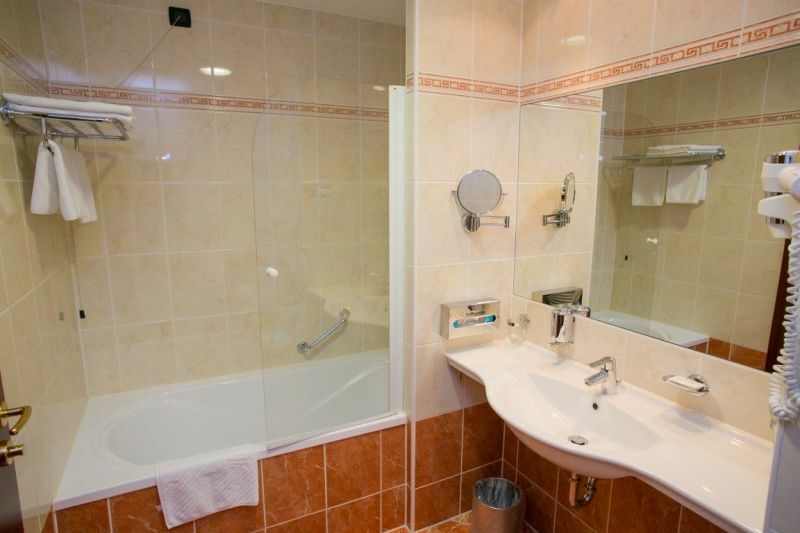 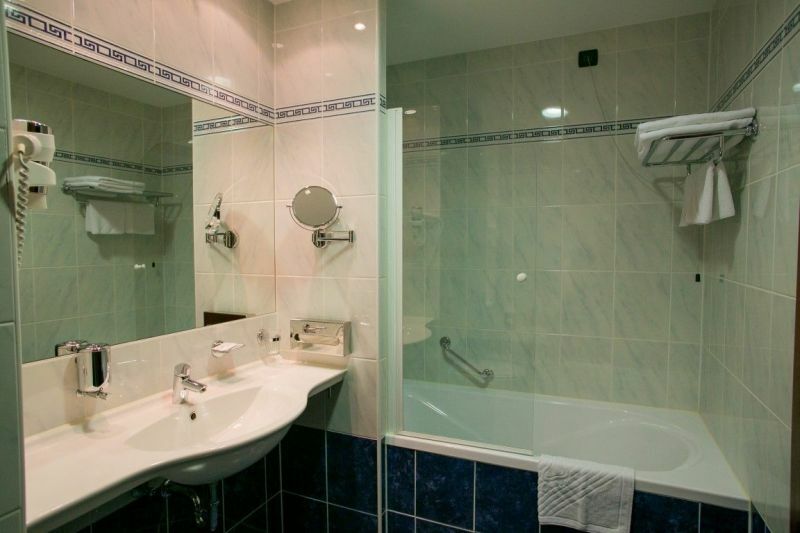 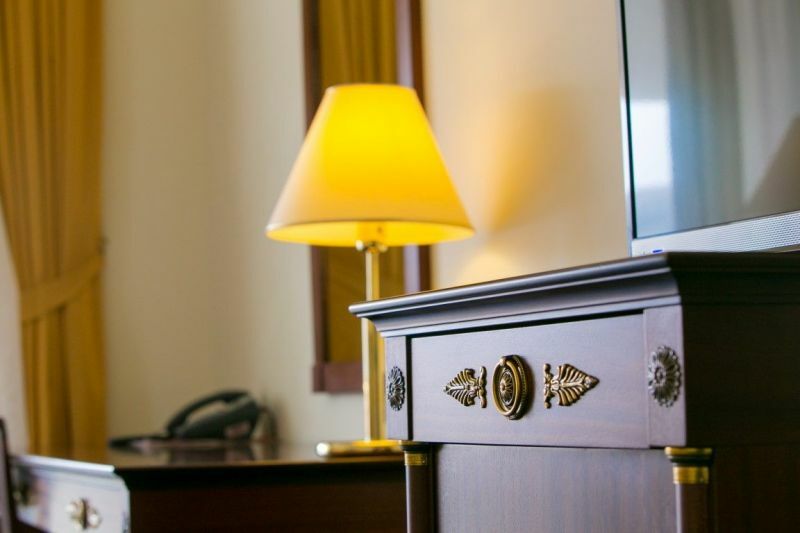 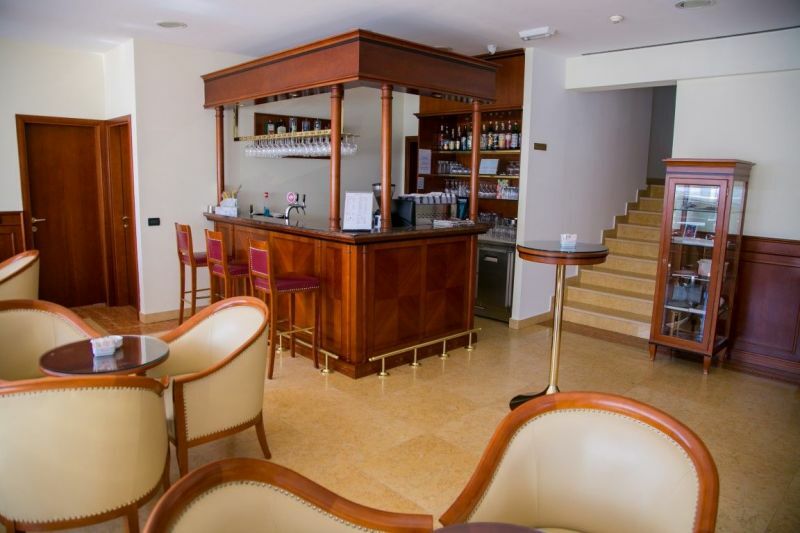 The hotel offers: hotel parking and an underground garage, 24-hour front desk, non smoking rooms, a restaurant, a cocktail bar, currency exchange, an ATM machine, a meeting room, elevators, newspapers, bike rental, laundry service, faxing and photocopying service, a safe in every room and an outdoor pool. 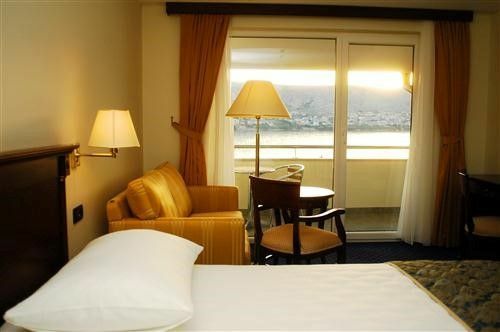 We also offer day excursions..